RAM Foundation provides free legal aid to the oppressed who have no financial resources and no assistance. 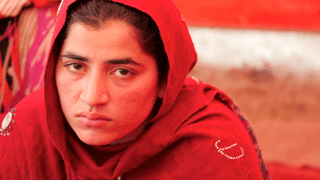 Our most common cases include defending brick kiln workers, women sexually assaulted, people falsely accused of blasphemy, and minorities being taken advantage of and constantly harassed. RAM stands for Resources and Aid Mobilization and is registered both in Pakistan and in the USA. If you do not have time to volunteer, we encourage you to endorse our organization or provide financial support for one of the causes for which RAM Foundation fights: provide free legal aid, buy freedom, provide medical aid, train women to be self-sustaining, expand our safe house. We dreamed of a safe haven for women at risk. CosmoVision Center Pakistan Development Begins. Sablone House Vocational Training and Shelter for Women In Progress. The work of rescuing, educating, and empowering women in Pakistan is only possible through the support and partnership of people like you. By donating financially, you are enabling RAM Foundation to continue to make a difference in the lives of the women who are the building blocks of Pakistani society.